Aged Auburn finish on select hardwoods and veneers is distressed and wire brushed for a natural, reclaimed wood appearance. 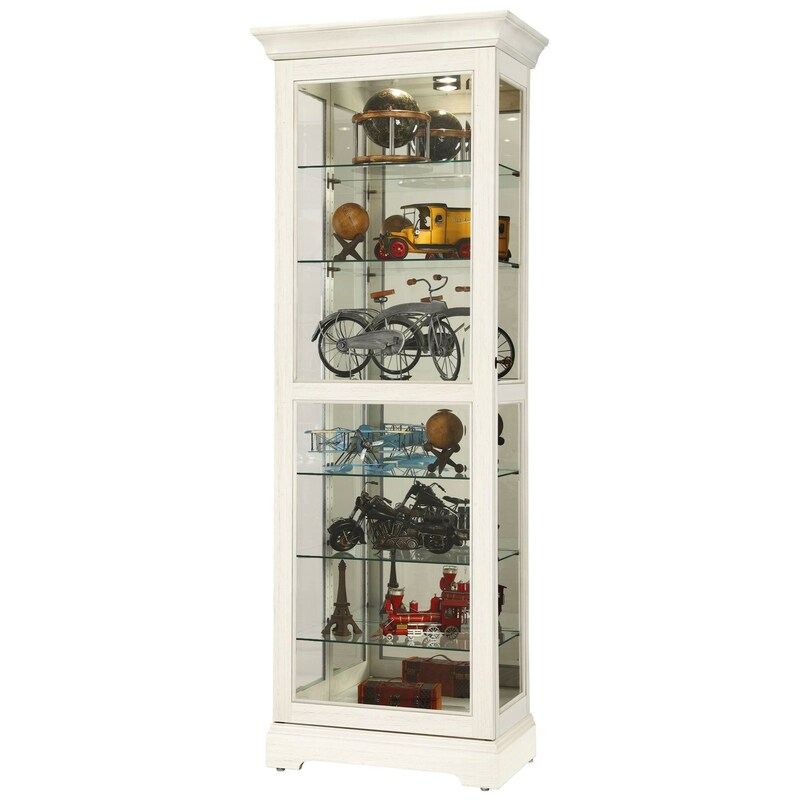 The front door of this display cabinet slides in both directions for easy access to the shelves. Beveled glass on the front door for added elegance. Ample display space with six glass shelves for seven levels of display. Six shelves can be adjusted to any level within your cabinet. Plate grooves in the glass shelves allow for vertical display of your collectible plates. Halogen lighting for brighter, whiter, longer-lasting light to illuminate your collectibles. No-Reach™ light switch is conveniently located on the back of the cabinet. A handy key holder is attached. Locking door for added security. Glass mirrored back beautifully showcases your collectibles. The Curios Martindale Curio by Howard Miller at HomeWorld Furniture in the Hawaii, Oahu, Hilo, Kona, Maui area. Product availability may vary. Contact us for the most current availability on this product. Storage Six adjustable shelves with plate grooves behind a sliding glass door.